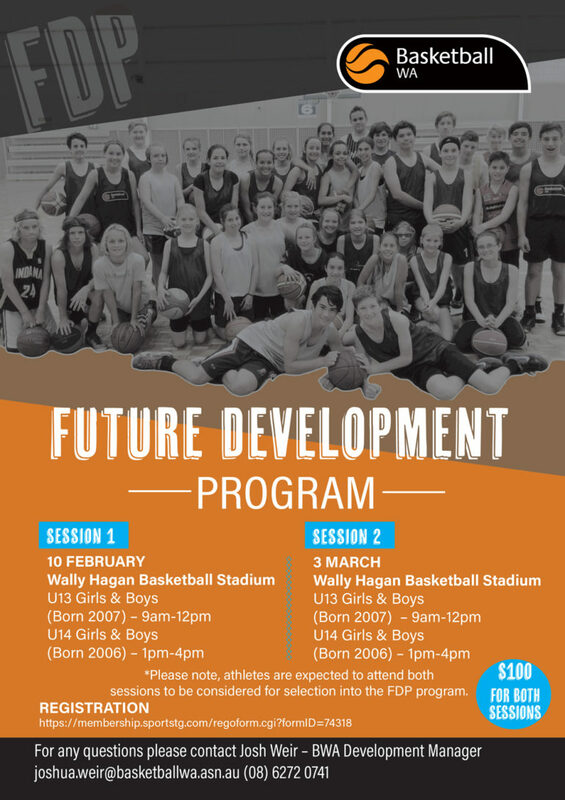 Basketball WA’s Future Development Program seeks to bring together the best Under 13 and Under 14 athletes in the state in a competitive environment. The aim of the program is to expose, educate and develop athletes knowledge and understanding of concepts, by giving athletes the tools to succeed and placing them in competitive situations. FDP Squads practice fortnightly with FDP coaches, and conclude the Program experience with a FDP Camp. Basketball WA is pleased to announce the following players selected to the 2019 Future Development Program. Athletes selected will be notified via email for registration. FDP Camps will feature guest coaches and presenters from all areas of sport and athlete development. The Camps are designed to prepare athletes for success in future BWA High Performance Programs by introducing them to areas like Strength & Conditioning and Nutrition. Camps will be held in the Metro region, and all athletes are invited to attend.